Born 3 June 1922 in Vannes, Brittany, to a well-off family. His career spanned over six decades and included such classics as Hiroshima Mon Amour (1959), his first feature film, and Last year in Marienbad (1961). He originally trained as a film editor in the mid-40s before moving on to direct feature films in the late 1950s. He is often associated with the French New Wave of film directors from 1958 to the late 1960s which included Francois Truffaut, Eric Rohmer and Claude Chabrol. But he had closer ties to the Left Bank group of authors and film makers such as Chris Marker, Alain Robbe-Grillet and Marguerite Duras. His early films were overtly political, a stance he dropped in the late 60s to explore more personal themes including sexual relations and abstract notions of memory and time. In 1986 Resnais said he did not make a difference between cinema and theatre and a number of his later films were based on stage plays. His final film, Aimer, Boire et Chanter (Life of Riley) was his third adaptation of a play by English playwright Alan Ayckbourne. 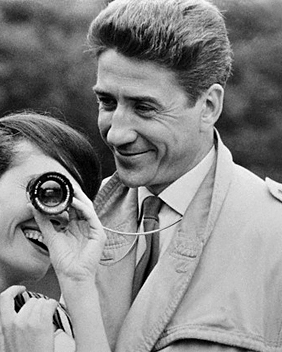 Resnais was married twice. First to Florence Malraux, the daughter of the novelist Andre Malraux. She worked as an assistant on many of his films. The marriage ended in divorce. In 1998 he married Sabine Azema who appeared in the majority of his films from 1983 onwards. Alongside Azema, Resnais created a small group of actors he worked with on a regular basis – Andre Dussollier, Pierre Arditi, Fanny Ardent and Lambert Wilson. He died on 1 March 2014 and is buried in Paris’ Montparnasse cemetery.